A CPD article improved Susan Wrigglesworth’s knowledge of the assessment and management of acute coronary syndrome. The article discussed the assessment and management of acute coronary syndrome, and explained the three types – unstable angina, ST elevation myocardial infarction (STEMI) and non-ST elevation myocardial infarction (NSTEMI) – as well as their pathophysiology and treatments. I learned that acute coronary syndrome is a medical emergency in which blood supply to the myocardium has become partially or completely occluded, and that it is one of the leading causes of premature death in the UK. The article emphasised that nurses have a crucial role in survival following acute coronary syndrome, which is linked to prompt assessment, diagnosis and management. It recommended using the ABCDE (airway, breathing, circulation, disability and exposure) approach to assess patients presenting with suspected acute coronary syndrome. The condition is also diagnosed using an electrocardiogram, blood tests and patient history. I learned that the first-line treatment for a STEMI is percutaneous coronary intervention. For patients diagnosed with unstable angina or an NSTEMI, treatment is determined by the patient’s risk factors, but ideally should be investigated through angiography. The article emphasised that acute coronary syndrome is complex, and therefore careful and systematic assessment of patients is crucial for accurate diagnosis. As a result, I ensure that I use the ABCDE approach to assess patients. I will ensure that I assess patients experiencing chest pain by asking questions about the nature of the pain, and by assessing for abnormal blood pressure, shortness of breath, sweating, or nausea and vomiting. I will preserve these patients’ safety by ensuring they are attached to a cardiac monitor with a defibrillator as soon as possible. The article was relevant to The Code theme of preserving safety, which states that nurses must respond to emergencies within the limits of their knowledge. 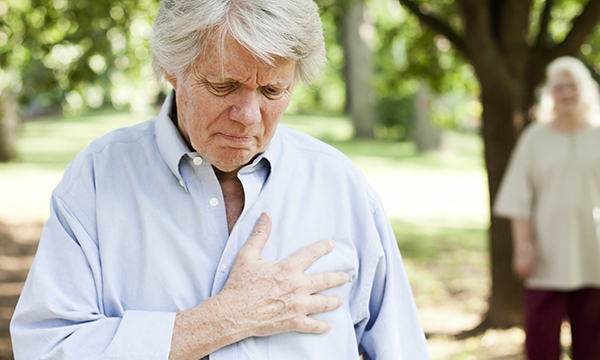 Acute coronary syndrome is a medical emergency, and the article provided evidence-based information about its causes, assessment and management. As part of The Code theme of prioritising people, nurses have a duty to respond to a person’s physical, psychological and social needs. The article emphasised that nurses are required not only to recognise and treat acute coronary syndrome, but also to provide reassurance and support to the patient and their family. This reflective account is based on NS885 Norton C (2017) Acute coronary syndrome: assessment and management. Nursing Standard. 31, 29, 61-70.